Note: Highly commended individuals are ranked in alphabetical order by their last name. 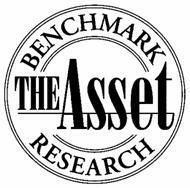 In 2018, about 880 top-rated individuals including analysts, economists and strategists, salespeople and traders were invited by the Asset Benchmark Research to nominate the most Astute investors, based on their knowledge of the credits and markets, trading skill and acumen in making investment decisions. As such the ranking also includes investors who are not included in absolute return or performance assessments. The nominations collected are subject to two weightings: the first according to the rank in the nomination form and the second determined by the rating of the individual casting the vote. The latter is determined according to the annual survey of investors. The awardees of most Astute Investors in Asian G3 Bonds 2018 will be honoured at a gala dinner.